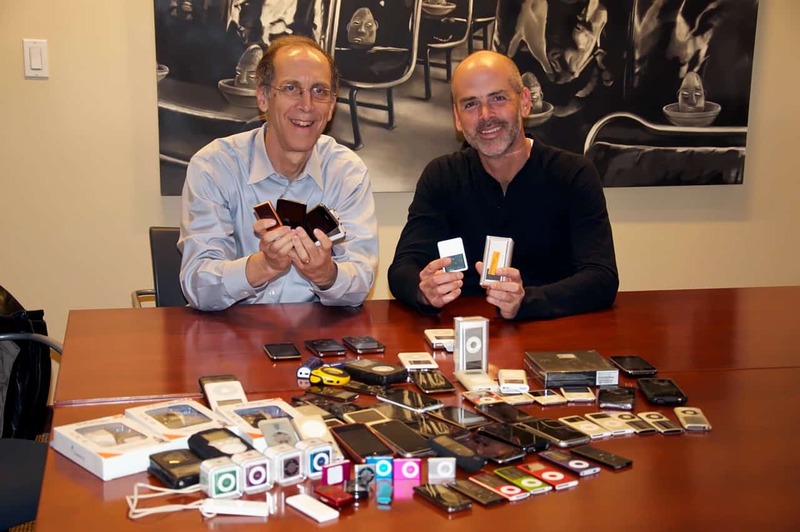 So far, Dave Roth has collected somewhere between 400 and 500 used iPods for Music & Memory. But that’s only the beginning. “I’d love for this to get bigger,” says Roth, a professional musician who has worked his Broadway theatre contacts to run two successful NYC iPod collection drives over the past year-and-a-half. Roth knows a lot of people on the Great White Way. A percussionist whose current holiday gigs include playing in the pit orchestra for the annual Rockettes Radio City Christmas Spectacular, he’s accompanied about 40 Broadway shows during his 17-year career. In addition to inspiring Broadway theatre managers, actors and fellow members of the Musicians Union Local 802 to support the NYC iPod drives, Roth has sparked similar efforts by actors and musicians around the U.S., including iPod collections by high school community theatre performers in Houston and the Chicago Youth Symphony. Now his big goal is a major Music & Memory benefit concert at a Broadway theatre. The cause is personal. Both of Roth’s parents suffer from Alzheimer’s. His mother’s vocabulary is limited to only a few words. She no longer recognizes him. But her personalized playlist has enabled them to find a way to stay connected. Roth first learned of Music & Memory through his involvement as an Alzheimer’s Association Ambassador for his local Congressional district, raising awareness and lobbying for more research funding. After attending the April 2012 screening of Music & Memory’s documentary, Alive Inside, at the Rubin Museum of Art in Manhattan, he contacted Executive Director Dan Cohen and offered to help collect used iPods. For his mother, a former choir director for 35 years, he created a personalized playlist and brought her an iPod and set of headphones. Her response was instantaneous. “When you look into the eyes of someone with Alzheimer’s, they look lost and there’s a sense of panic,” says Roth. But when his mother listens to musical favorites on her iPod, she brightens and sings along. “Such a peace comes over her,” he says. This past July, Roth ran his second Broadway Alzheimer’s iPod Drive—starting on July 4th to mark independence for Alzheimer’s patients, and ending on August 19, his parents’ wedding anniversary. On January 8, he’ll team up with the Broadway Green Alliance, a network of theatre professionals and patrons focused on making Broadway theatre productions environmentally responsible, to collect more used iPod’s during their annual Winter eWaste Drive. “I see the drive growing every year,” says Roth. Next stop? His undergraduate alma mater, Kansas State University, is doing an iPod drive this spring. And, thanks to Dave Roth’s extraordinary volunteer commitment, the beat goes on.